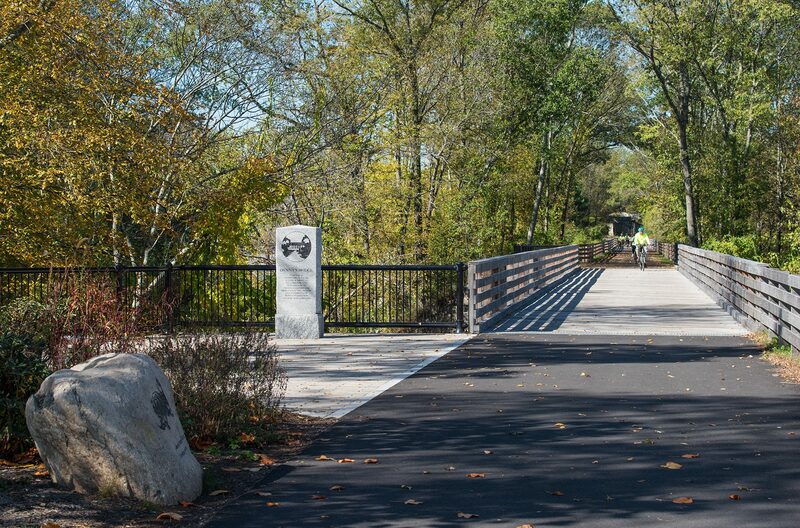 CRJA-IBI Group collaborated with the project engineers on the design of a 3.75 mile multi-use trail segment of the bikeway on the Blackstone Valley RR ROW, linking many significant natural and historic features. The waters of the Blackstone River, which runs from Worcester, MA to Providence, RI, once powered the Slater Mill in Pawtucket, RI, America’s first successful textile mill. 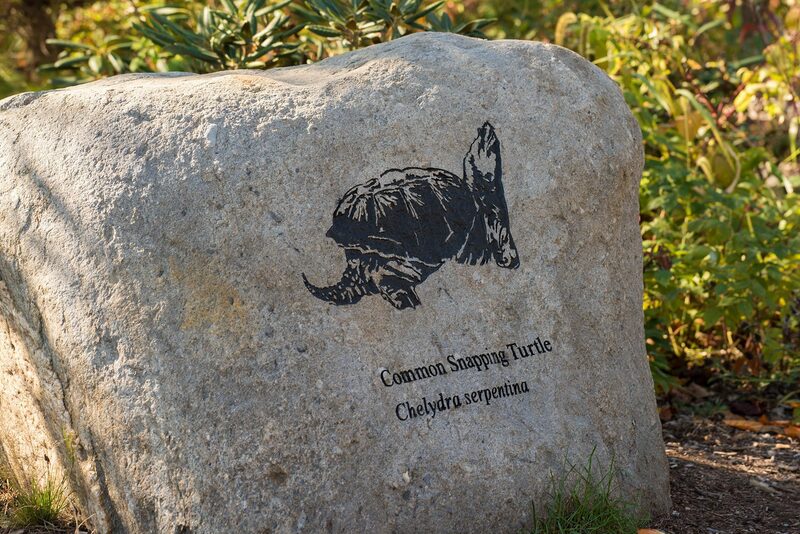 This endeavor began America’s transformation from farm to factory and gave birth to the Industrial Revolution. 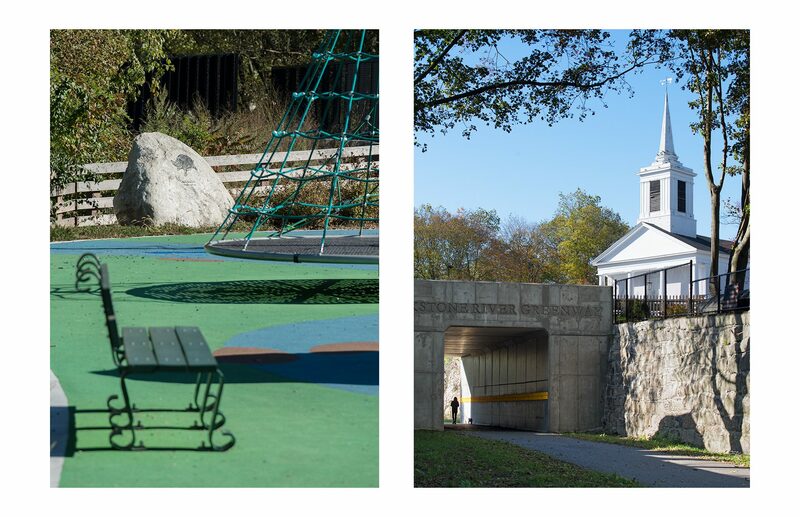 Today, the area comprises the historic John H. Chafee Blackstone River Valley National Heritage Corridor. 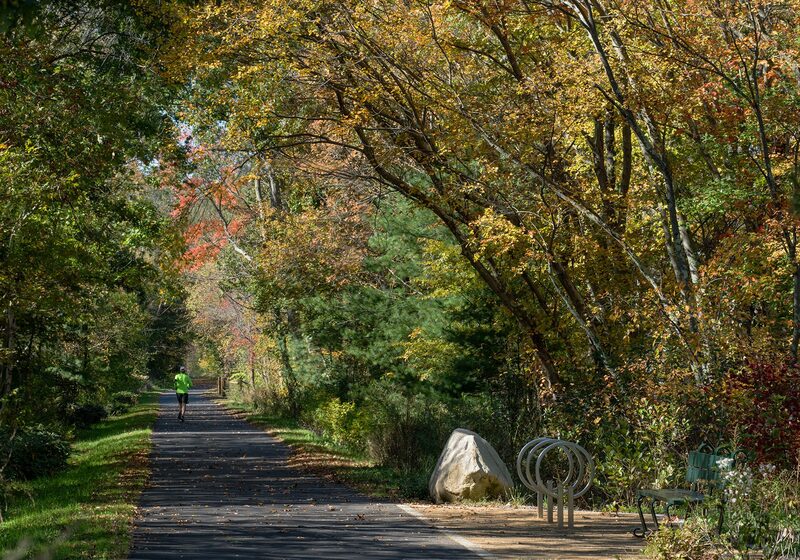 The Blackstone River Bikeway, a bi-state linear park, will ultimately extend 48 miles from Providence to Worcester. 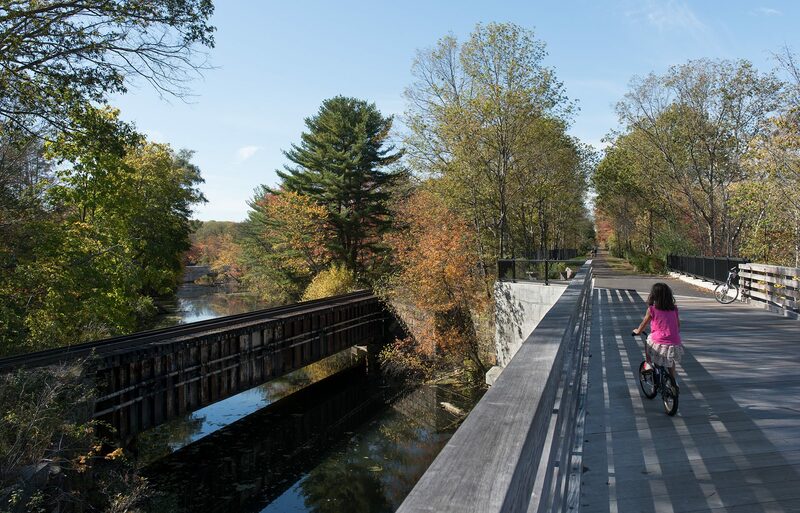 Currently, 10 miles of bike path are open to the public in Central Falls, Lincoln, & Cumberland, RI. 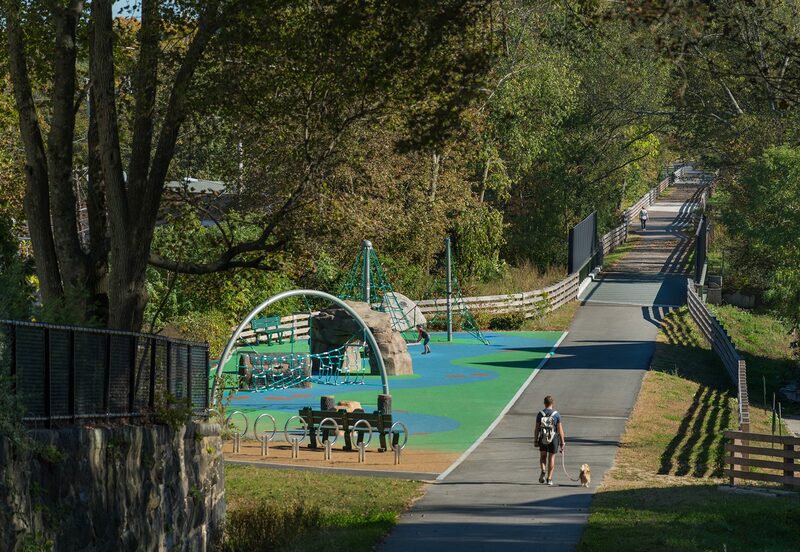 An additional 2.5 miles of bikeway are complete in Worcester and Millbury, MA. 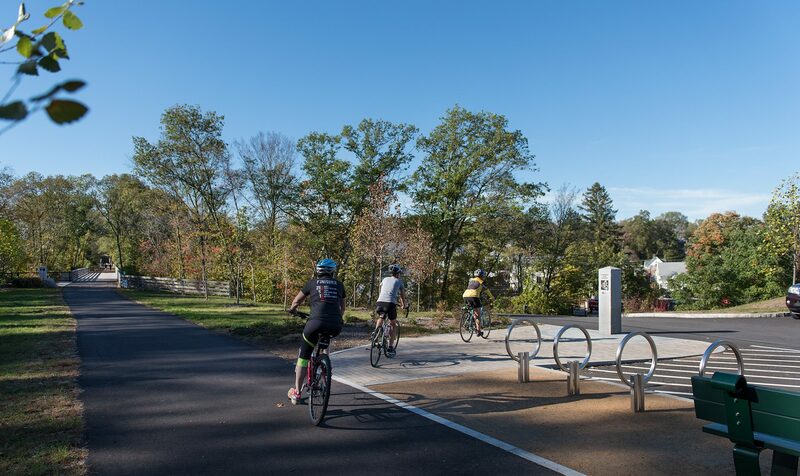 When completed in its entirety, the bike path project will serve as an alternate mode of transportation for commuters as well as the region’s premiere multi-use recreational facility. 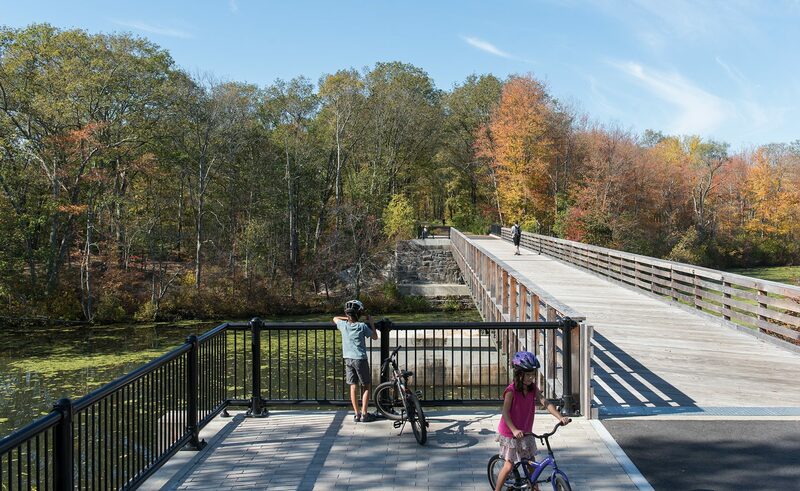 It will connect New England’s second and third largest cities and serve a population of more than 1 million, linking many of the Valley’s significant natural and historic features. 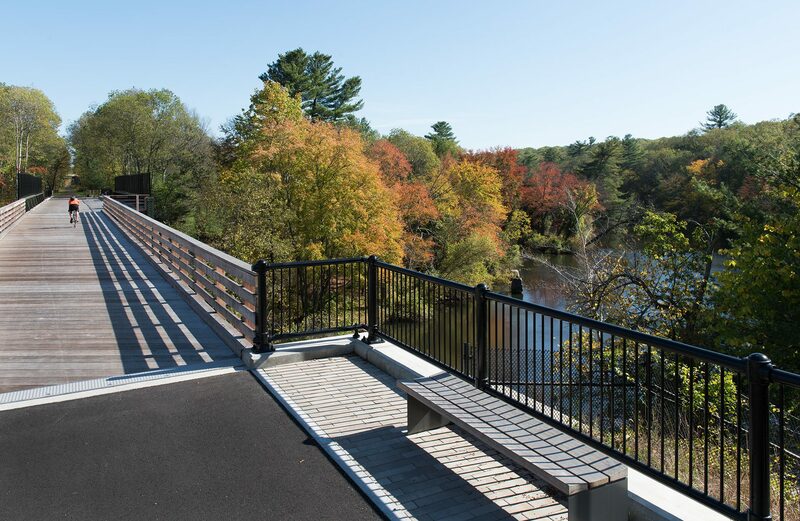 CRJA-IBI Group collaborated with the project engineers on the design of a 3.75 mile multi-use trail segment of the bikeway on the historic Blackstone Valley RR ROW, extending from the RI state border into Millville, MA. 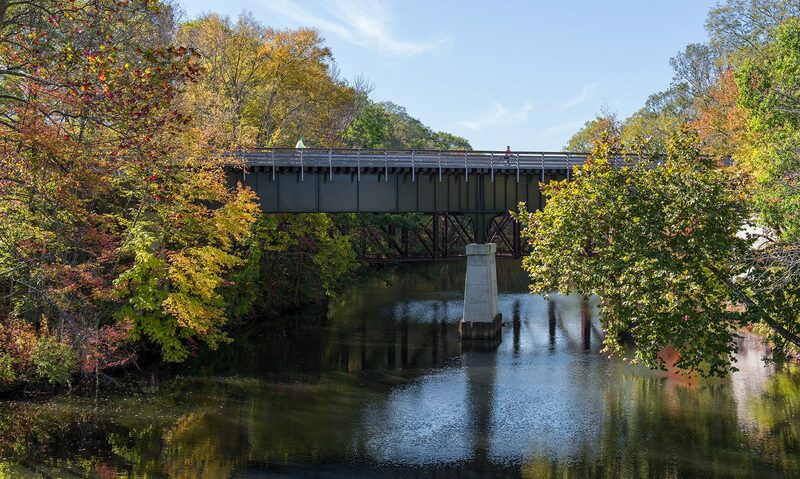 The project includes restoration of 11 bridges, design of pedestrian connections, trailhead and parking design, viewshed management, ecological restoration, public outreach and an historical landscape component. Phase I of this project is complete. 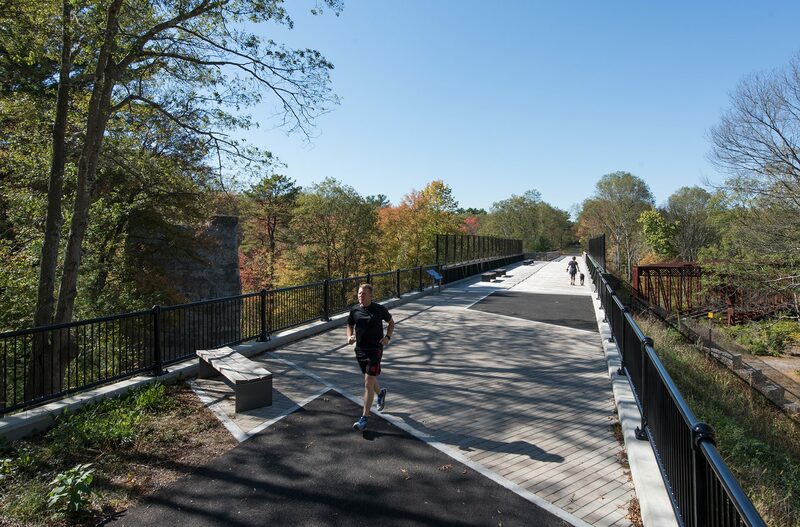 Phase II of the project is for a 0.4 segment of the trail and involves the restoration of two historic viaducts. Phase II will be completed in the spring of 2020.